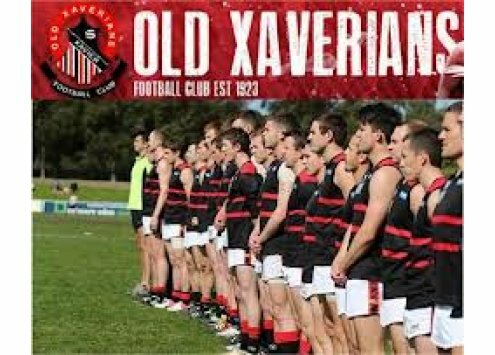 Players are the team, and the Old Xavs has had some fine players over the years, who have endeavoured for its glory and triumph. Those who have stood out have been recognised in different ways. First, the club admits previous players, committee members, and employees to life membership each year. Life Members then award the Michael Rush Perpetual Trophy to an Old Xavs player who has exhibited the qualities of the late Michael Rush. The player must exhibit unselfishness and courage. He or she must work through injury and disappointment to further the club’s interests. Matthew Handley, a fierce warrior, clinched the trophy in 2017. He topped the VAFA scorings in 2015 (54 goals incl. finals), 2016 (57 goals incl. finals), and 2017 (44 goals incl. finals). Lastly, the club awards the William Denton Sr. Perpetual Trophy (from 1989), for off-field contributions of its members. Tony Capes started out as a medical student at Newman College. He first played for the Uni Blacks, where he proved to be an outstanding centre-half-forward. He then represented the VAPA on several occasions and featured in the Olympic exhibition match of 1956. He came to the Old Xavs in 1960 and played for three years before retiring due to the rigours of family life, and his medical practise. John played for the Old Xavs in the 1970s to 80s. He played an astounding 132 games for the Old Xavs. John played in the 1981’s A-Section premiership team, the first ever Old Xavs team to win a seniors premiership. He also captained the club and took on off-field responsibilities as the club’s president, treasurer, and VAFA delegate. Matthew Bourke played for Hawthorn (1989) and Fitzroy (1991) in the AFL. At 6 ft. 2 in, he was a spectacular and skilled forward, recruited from Xavier College. Unfortunately, his short spells in the AFL would earn him only three goals. Glory ensued when Matthew returned to the Old Xavs to earn his rightful place among other old boys. He would go on to appear for the Xavs in 121 games. He featured in 1995, 1996, 1997, 1998, and 1999 all-star premiership seasons. 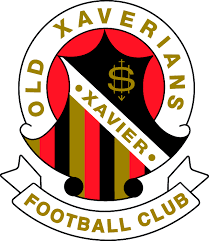 Old Xavs failed to win the premiership trophy in 2001, and 2002. In 2003, the Old Xavs were face to face with St Bernard’s at the Grand Final. In the first term, the Old Xavs had failed to take advantage of the strong breeze. St Bernard’s snow dogs had an opportunity to advance in the second term, but their luck changed when Orlando snatched the ball from a wayward hand pass and took a shot for the goal. In all his 52 games for the Old Xavs, this was his most memorable moment. The Old Xavs won the flag in 2003 but failed to retain it in 2004. Landrigan joined the Old Xavs straightaway from school in 1990. He played in six premierships. His great skills made him a Big V player, and he was a pleasure to watch. When he retired on 29 may 2004, Chachi had played 255 games for the Xavs. Chachi would return to the Old Xavs from the Crocs and became the first player to reach 300 club games in 2017. This article was posted in Player and tagged Major Player Over the Years. Bookmark the permalink. Follow comments with the RSS feed for this post. Both comments and trackbacks are closed.